Filmmaker and underwater explorer Nathalie Lasselin hopes the 70-kilometre underwater trek will bring attention to water pollution. Nathalie Lasselin dove into the St. Lawrence River in Montreal's West Island this morning with an unlikely mission ahead — and with plans to resurface more than 24 hours later, about 70 kilometres away. Lasselin's journey began in Île Perrot, in the West Island, and will end in Repentigny, Que., on Saturday. It's part of an effort to raise awareness about the importance of keeping rivers clean. "The planet is going to survive without us. The planet doesn't need us. However, we do need the planet," she said, before making the jump today. Lasselin says she expects to spend between 28 and 30 hours under water, crossing eight bridges and two tunnels along the way. 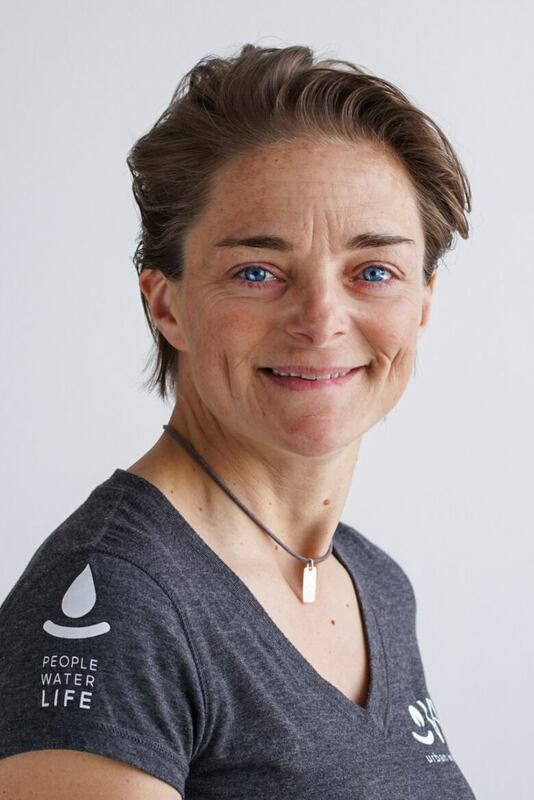 A Women Divers Hall of Fame inductee, and a fellow in the Royal Canadian Geographical Society, Lasselin will have more than just a wet suit to help her navigate the river. Her extensive list of equipment includes an underwater breather, multiple oxygen tanks, a diving propulsion vehicle, lights, and a communications system to help her talk to people on the surface. That system is vital in case of emergency, she said. It will also help her restock essential equipment without having to go to the surface of the water. "I'm going to have some divers all going to reach me underwater to switch equipment, to bring me some food, some liquids," she said. 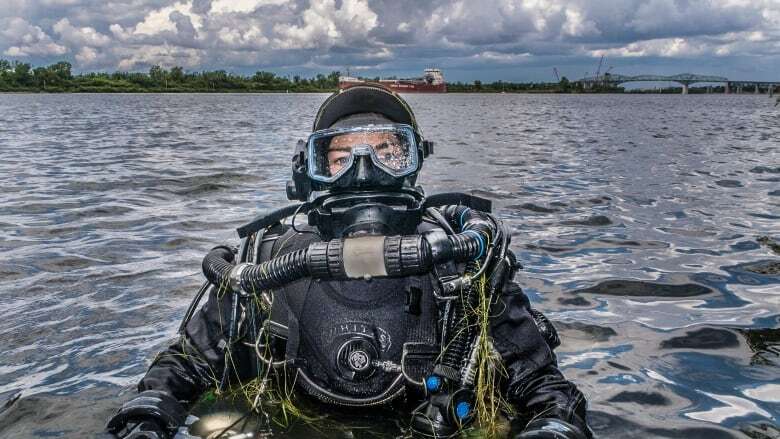 Lasselin said it was only after exploring underwater landscapes around the world that she realized just how little she knew about the river that was closest to home — the St. Lawrence. Now, she hopes that her exploration of the local waterway will give others a chance to develop a greater understanding and appreciation of it. Lasselin said she unfortunately expects to see trash and other debris during her dive. "[It's] really sad because you know it's human action that's putting those [pieces of] debris, [that] garbage, into the river, and it doesn't belong to a pristine environment," she said. She said that without clean water, peoples' lives are at stake. So her final piece of advice before going underwater? "Do not take the river for granted."